Philippe Coutinho played at Inter Milan as a teenager. "Coutinho’s record for the season is decent with six goals in 19 appearances. His recent Champions League record is even better, with six goals in his last seven appearances as Opta tell us." Whether you're placing a single or putting two or more selections together as a same-game multi-bet, it's all about the price. It always is. And with that in mind, it's pretty hard to see how Atletico Madrid can be odds-on here. The German side beat Diego Simeone's men 4-0 just two weeks ago and before you ask, no, there wasn't an early sending-off that changed the whole game. Remarkably, Atletico actually had 51% of the possession in that game and they both had eight shots in the game. But still, that scoreline suggests that whatever Dortmund did on the night, they did it a lot better than Atletico. And perhaps it shouldn't be that surprising that they did win. Dortmund have developed a habit of getting the better of this lot with just one defeat in their last five against them, according to Opta. That was Dortmund's third win in the competition, making them one of the few sides still with an 100% record. It's hard to ignore them at evens on the Double Chance market. This game should have goals. Or at least three of them. Two of the hosts' three CL games have gone 'over's and a 1-0 win over Wolfsburg at the weekend was the first time in nine games that a match of theirs in any competition didn't have at least three goals. For Atletico, all their European games so far have gone 'overs' so the stats certainly suggest this won't be dull. You can get 10/11 on over 2.5 goals with the double coming to odds of 3.83. There was plenty of concern amongst Barca fans when Lionel Messi suffered an injury a few weeks ago. Concern that the absence of their star man could leave them a little bare upfront during a busy period. They needn't have worried. Since Messi limped off away at Sevilla in the first half, they won five in a row (counting the Sevilla match itself), a run which included a 5-1 win over Real Madrid and a 2-0 win over...Inter Milan. They keep beating Inter. They have six wins, three draws and two defeats in their last 11 games against them and the fact that they're unbeaten in their last 11 games in the Group Stages of the Champions League suggests they're in their element here. And apart from anything else, Messi may well make the bench and play a part in this game anyway. So Barcelona on the match winner market at evens, it is. It's easy to forget that many moons ago Philippe Coutinho was an Inter Milan player. But yes, almost 10 years ago he arrived at the San Siro as the latest Brazilian teenage prodigy, boasting talent and inexperience in equal quantities. Loans at Vasco and Espanyol helped to toughen him up before he made that career-defining move to Liverpool and after that, the rest is history. You'd have to trawl through endless data to find out whether players have a better scoring record against former clubs than other teams and we won't be doing that here. Instead, we'll take the view that it certainly can't be a bad thing to have that little extra bit of motivation against a team you've played for before. 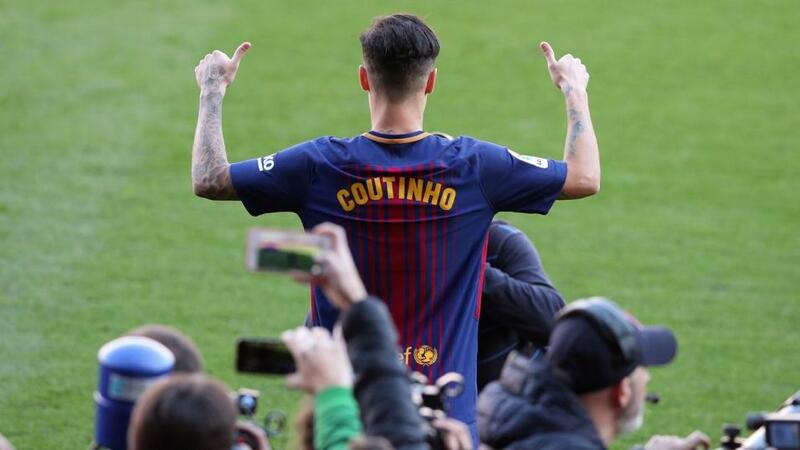 Coutinho's record for the season is decent with six goals in 19 appearances. His recent Champions League record is even better, with six goals in his last seven appearances as Opta tell us (plus four further assists for those who like to keep tabs on these things). The nice thing about someone like Coutinho is can he score all manner of goals from beautiful free-kicks to tap-ins to solo efforts. Any sort of goal will do us just fine here with the little Brazilian available at 21/10. The double comes to [4.7].